Prabhu (Madhavan) is a foul mouthed, arrogant but one of best boxing coach in India. His attitude transfers him from the national academy of Hisar to Chennai with a false sexual harassment charges. He starts training women boxers in Chennai but doesn’t see any grit from any of them. One day he sees Madhi (Rithika) a wisher women who has the talent and the spirt which could be make her the best boxer. But Madhi doesn’t take boxing seriously, and Prabhu has to bribe her to come for training. How Prabhu makes Madhi a star and what problems they face makes the rest of the story. Rajini Murugan ( Siva Karthikeyan) is a idler living in Madurai with his parents who are school teachers . He and his friend Thotathri(Soori), often get into trouble with their antics. Rajini Murugan Is in love with his childhood sweet heart Karthika ( Keerthi Suresh) but a foolish mis-understanding in the past between their fathers keeps them apart. He realises its high time he change his attitude and starts a business along with his friend. Even though he works hard,none of business survive. Finally his grandfather Ayyankalai ( Rajkiran) comes forward to help him, he asks Rajini Murugan to sell the ancestral property and start a business with his share. For that he has to bring all his relatives around the globe and complete this task, when a new problem arises. How he manages to fight this is the rest of the story. 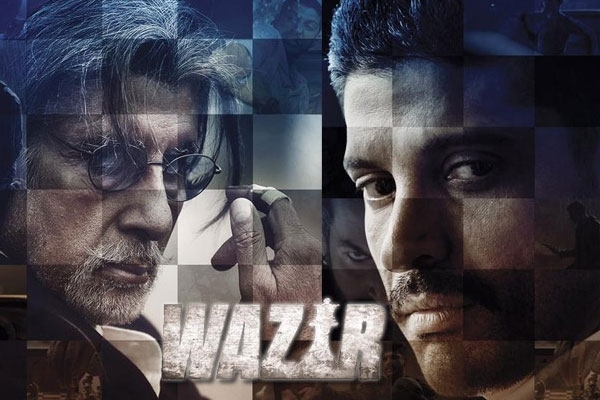 Danish Ali ( Farhan Akhtar) is an officer in the anti terrorist squad, tragedy strikes in his happy life when he loses his daughter while chasing a terrorist. After losing his daughter and separated from his wife his emotions take him over and he also gets suspended. In an unusual circumstance he meets Pandit Omkarnath ( Amitabh Bhachan) who brings him out his grief. Omkarnath who has lost his wife and his two legs in an accident, asks Danish to investigate the recent death of his daughter who died under mysterious circumstance. How Danish battles his own ghosts and also solves Nina’s death is the rest of the story.